A big WIN for The Saints! 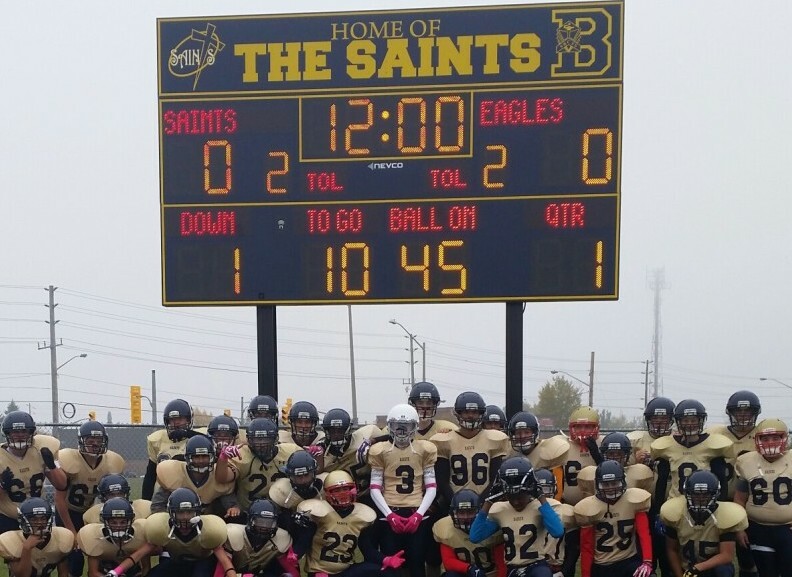 The Scoreboard Man and Nevco Scoreboards were honoured to be part of the field upgrades at St Benedict Catholic Secondary School in Cambridge, Ontario to create an accessible outdoor Community Centre this past year. The project was in the works for a couple of years and it was a big win when the school was granted the $100,000 from the AVIVA Community Fund! A Nevco multi-purpose Intelligent Caption Scoreboard was installed this fall, allowing for numerous sports to be played on the filed, as the captions on the scoreboard change to suit the sport being played. 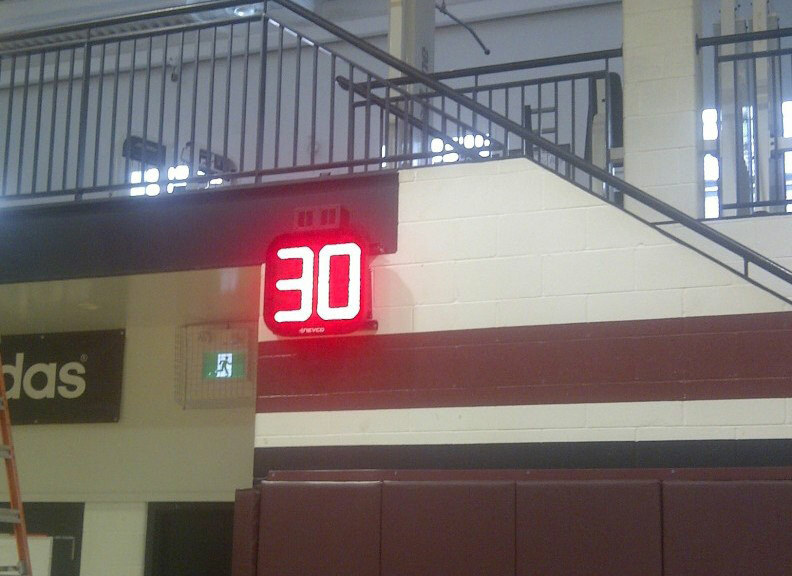 The Nevco model 3680 scoreboard is rapidly becoming the most versatile and popular outdoor scoreboard on the market.